The 2081 and High Frontier Free Giveaway is now over! The Space Studies Institute giveaway of the Kindle editions of Gerard K. O’Neill’s 2081 and The High Frontier just ended a few minutes ago. Final tally? 989 total free copies claimed. SSI Associates: Thank you so very much for spreading the word on this exciting promotion and getting two amazing books into the hands of a new generation of forward looking readers! New friends: Go read! And as you are reading don’t just take it all at face value, think about it, look for connections and check current resources to see for yourself if the fundamental concepts and opportunities that O’Neill described have real possibilities for creating a better Human future. We think you’ll be pleasantly surprised and we look forward to seeing you join us at SSI. Missed out on this free giveaway? The standard price of just $6.99 USD for the SSI Kindle editions is a great bargain for the information in these classic books so don’t look backwards, just head over to the Amazon Kindle pages for 2081 and The High Frontier and make that investment in your future. 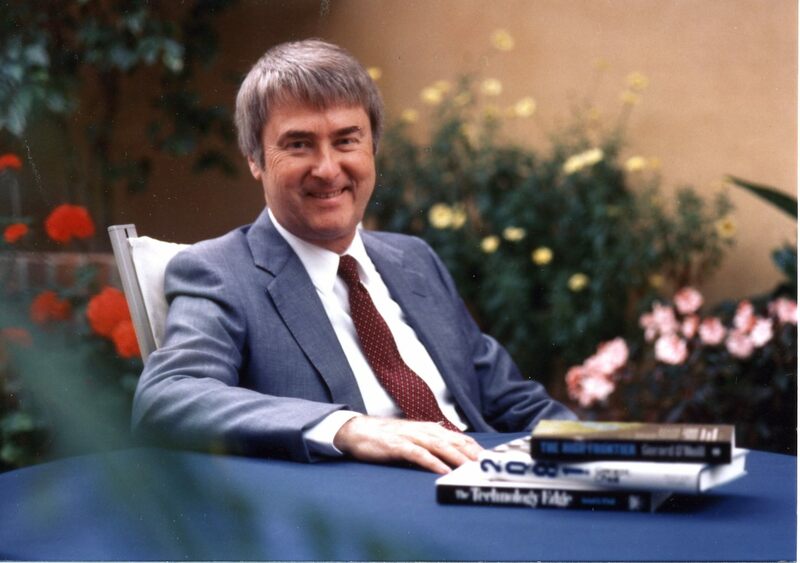 Thank you from The Space Studies Institute, founded in 1977 by Gerard K. O’Neill for the Human Breakout Into Space. For a limited time The Space Studies Institute is giving away the Kindle editions of Gerard K. O’Neill’s 2081 and The High Frontier for free! 2081, an amazing look at the future rising around us, and The High Frontier, the cornerstone book of the NewSpace generation, are both regularly priced at $6.99 USD but right now they are online around the planet for free download from the Amazon.com websites and Kindle stores. For details on 2081, just jump down to the previous SSI Blog post and as for The High Frontier, well, if you haven’t heard of it then it’s time you laid the right foundation in your Space education. Gerard K. O’Neill’s The High Frontier is a landmark book. A stunning, readable treatise. Space is the place where there are no limits and where benefits to ALL of Humanity – everywhere – are free for the using with no need to harm anyone. Sound far fetched? Sound naively Utopian and absolutely unachievable? Until a person actually reads The High Frontier for themselves, they should be careful about jumping to conclusions. And then he systematically looks at what it means for a civilization to expand, what such a civilization truly needs for real positive growth, and finds that all of those requirements and more are in no way out of reach. Professor O’Neill makes this book of real science and real technology readable by most everyone by using fascinating “Letters From Space” followed by clear explanations of the hows and whys. O’Neill was a world-renowned scientist but he had the gift to make even the most technical information completely understandable. If you’ve never personally read 2081 and The High Frontier, you are in for a truly amazing experience. If you haven’t read them in a while then now is a great time to refresh your memories! To get your free copies, log into your Amazon.com account using your web browser or start the Kindle Store in your Kindle app or device to search for the “O’Neill Kindle 2081″ and “O’Neill Kindle The High Frontier”. Make sure you see that the price of the books are $0.00 (zero). Click on the Buy Now button. Note that the Buy Now is not the one for the kindleunlimited subscription program. “Sync” your Kindle device or app to see your new books in your bookshelf and click them to begin the downloads. They’re all yours so Start Reading! Read on your Android, iOS or Windows Phone while in line at the grocery then pick up where you left off while relaxing at home with your tablet then start right up again on your Kindle Fire, Voyager or DX and even steal a few minutes at work using the Kindle program on your full Mac or Windows PC. 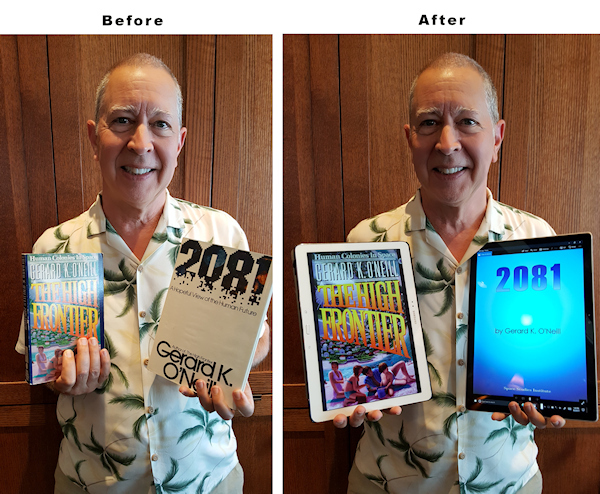 The Space Studies Institute is giving away the Kindle editions of Gerard K. O’Neill’s 2081 and The High Frontier. Twitter the news, Blog it, Facebook it, email it, spread the word and do it today! The clock is ticking on this limited time offer, get yours now and tell your friends! important notes: Amazon Kindle promotions may not be available in all countries or areas, as of this writing it appears that all of the Amazon links above are showing the price as zero but the exact countries and timings are up to Amazon. 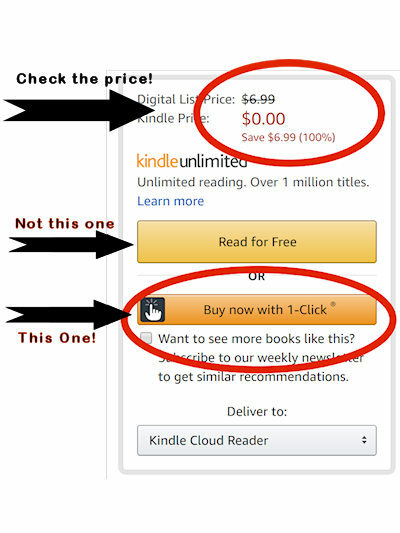 Due to the way eCommerce systems work, Start and End times of free book promotions can not be exactly specified. SSI Kindle editions are available in many countries but at this time the texts are only available in English. 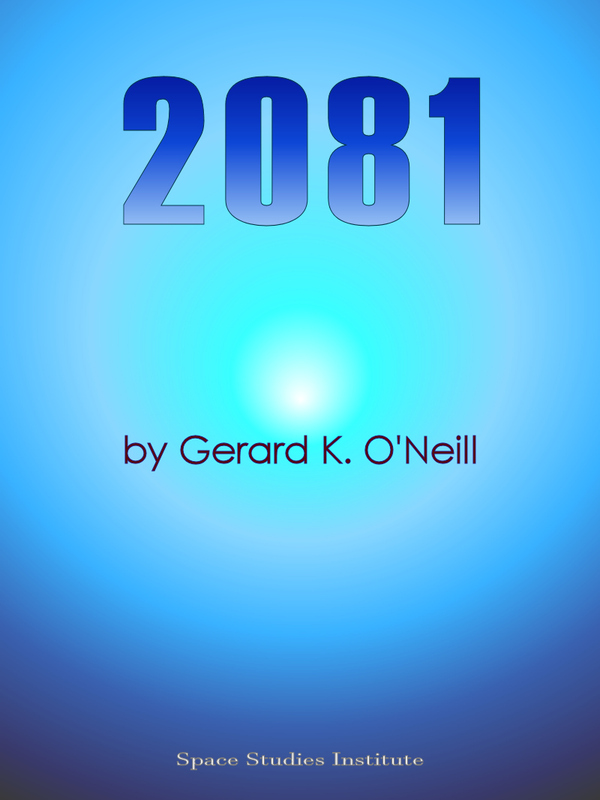 Gerard K. O’Neill’s 2081 is now an SSI Kindle Book! 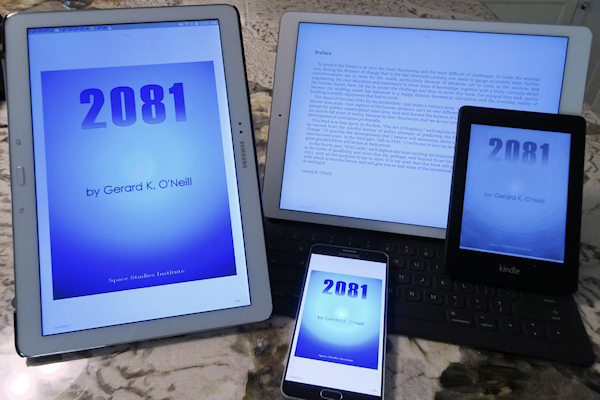 Gerard K. O’Neill’s hopeful book of the human future, 2081, is now an SSI Kindle release! E Ink slate tablets instead of paper books, grocery stores that let you check out without stopping for a cashier, instant as-needed delivery of any item by intelligent systems, electric cars that go where you tell them without your having to pay attention, super-fast and silent underground public transportation that people actually enjoy riding, whole communities enjoying island climates in the middle of snowy winters, working from home with all of the human interaction of going to a job, carts that politely follow you carrying your loads and ready to guide you when you’ve lost your way, houses that listen and are always ready to answer any question or organize any part of your life, cheap energy to fuel every device without adding to the carbon, heat or disposal issues of fossil and nuclear fuels. This is your world in 2081. Princeton Nuclear Physicist Gerard K. O’Neill, most famous for revolutionizing high energy physics labs and particle accelerators with his invention of Storage Ring technologies, and for his view of the potential for thousands of regular people to enjoy satisfying and productive jobs and lives in Space, looked back at the history of looking forward, looked at the realities of where we were in 1981 and envisioned, logically, how regular people would be living in the year 2081. Some of the gadgets and infrastructure that he thought would take a hundred years are with us already, others are in the news today as being right around the corner and some are just waiting for smart people to understand the need for them and make them real parts of our daily lives. Get your copy on kindle now! 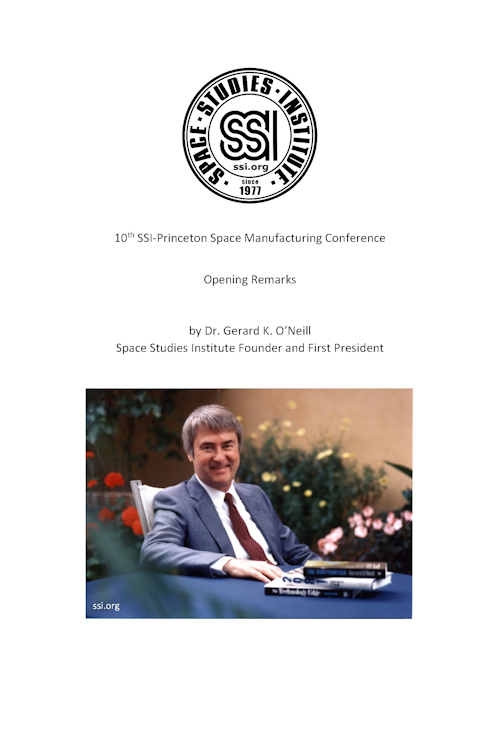 This is the 90th Birthday week of Space Studies Institute’s founder Gerard K. O’Neill and over on the Space Studies Institute Facebook Page we’ve been posting some snippets from Gerry’s Opening Remarks at the 10th SSI-Princeton Conference on Space Manufacturing. It was O’Neill’s last time together with the whole SSI membership, scientists and engineers and this short conference opener was, as they say, “A Doozy.” There is nothing unclear or fluffy in the Professor’s words. Acquiring copies of the complete collection of SSI Conference Proceedings is an expensive task for individuals, mostly these books are part of private research libraries, so there’s a chance that many even in the SSI family haven’t yet seen all of the details of the real work that can make The High Frontier Concept a reality. We’re working on ways to make the volumes more accessible, but for right now we’d like to share with you this one small but very important chapter… The full text of those Gerard K. O’Neill Opening Remarks. If you’ve been reading the quotes on the Facebook page and want more in context, or if you just stopped by here and are open for a very good read, it’s all yours on a free PDF from SSI. I’ve read it myself and it clocks in at less than 6 minutes… but it packs quite a punch. 90 times Earth has moved around the sun since Gerard O’Neill was born, 40 times since he and Tasha started SSI to work on making a better future for Human Beings. How many more times does the planet have to run in circles before we take it upon ourselves to pitch in and help its people truly get somewhere? It’s high time to get people moving toward The High Frontier.